In 2018 FINMA concluded its investigations and proceedings against institutions involved in recent global corruption and money-laundering scandals (Malaysian sovereign wealth fund 1MDB, FIFA, Petrobras). 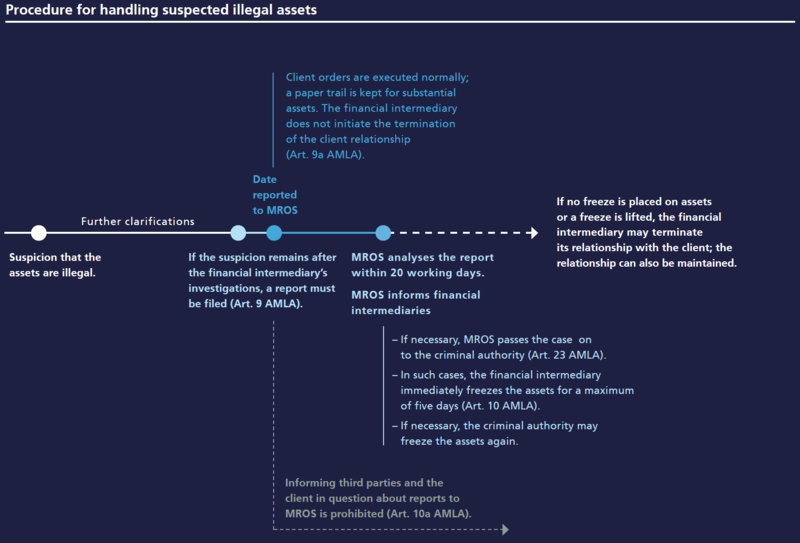 In recent years, Swiss financial intermediaries have identified an increasing number of suspicious clients, which they have reported to the MROS. FINMA’s strategic aim is to have a long-term positive influence on institutions’ conduct in preventing money laundering. It therefore makes concerted efforts in the areas of supervision and enforcement to prevent money laundering. The Financial Action Task Force (FATF) conducted its fourth country review of Switzerland from 2015 to 2016. It examines a country’s anti-money laundering and counter-terrorist financing system, with a particular focus on financial market regulation.